The photo/video message then self-destructs after the person views it. Snapchat also allows you to add a caption to your photo/video, doodle over it, add a lens graphic over it and as of recent, allows you to add ‘selfie’ lenses over your face in a photo/video. You can send these photos/videos to your friends individually, or you can add them to your ‘Story’ – this is a collection of your photos and videos that broadcasts to your friends only or the world, and last for only 24 hours. Everyone and anyone can use Snapchat; however, it is focused mainly towards teens and adults. Many celebrities have now started using Snapchat and they are known to post Snapchat Stories as a way to communicate with and update their fans. There is a new feature called ‘Snapchat Discover’ which shows stories from specific editorial teams; such as Snapchat’s own channel, Cosmopolitan, Daily Mail, CNN, BuzzFeed etc. These news stories are updated every day, therefore maintaining the whole temporary vibe. How can Snapchat be used to benefit businesses? 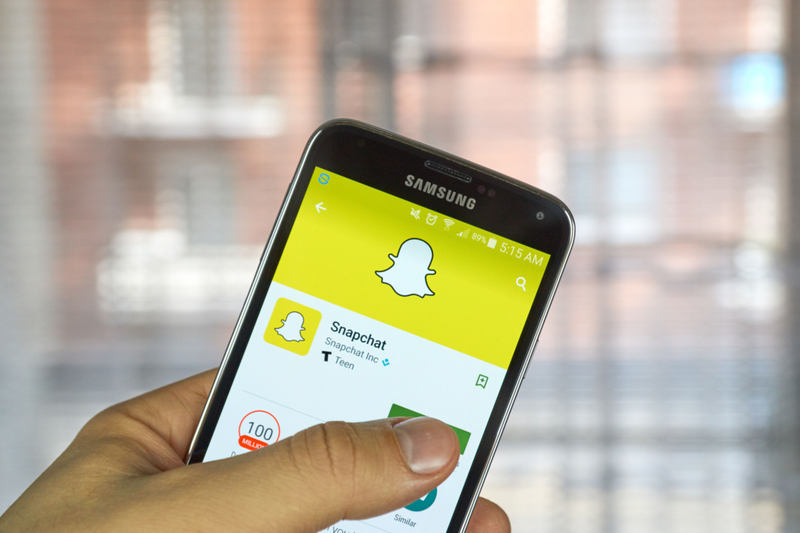 Businesses can use Snapchat to showcase and promote new products through their Snapchat Story. They can provide customers and clients with quick video answers, send out exclusive offers, and show behind-the-scenes videos and photos of the company. All these ways are ways to get people talking about your business, promote what you do and stand out from your competitors. Millions of people use Snapchat; however, not many companies are using it at the moment. This is a good thing for companies and businesses that are thinking of using Snapchat because if they begin using it now, they will be ahead of those who begin using it later on. Snapchat is a successful social media platform, with its user base in the millions, and it shouldn’t be ignored by businesses and companies.